About 5000 years ago, a highly advanced urban civilization called the Indus Valley or Harappan Civilization, existed along the river Indus. Their towns were well planned and they had brick houses which were situated along the roads. Every house was equipped with a staircase, a kitchen and several rooms. Their courtyards had wells, bathrooms and they had proper drainage systems. 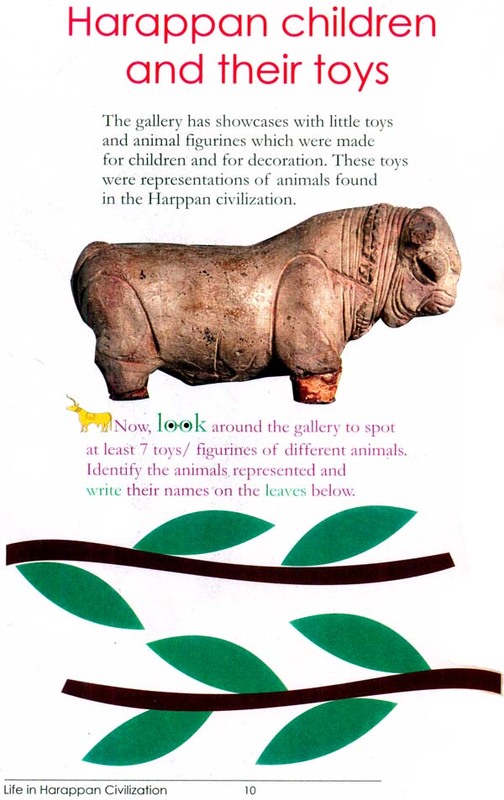 The Harappans wore ornaments made of gold, silver, ivory, sheel, clay, semi-precious stones and other. They made figurines and toys and a variety of seals. The formed the land near their cities, and grew wheat, barley, cotton, dates and other fruits. They traded with other world civilizations like Mesopatamia in Iraq & Iran. Get ready to sail on the Indus river as this trail leads you on a voyage to discover the ancient Harappan people and treasures in the National Museum.